There are a lot of tourist attractions in the area of Bansko, which are worth seeing because of their uniqueness – not only on a national and European scale, but also as international landmarks.. This is a location that has a lot of natural phenomena, museums and architectural reserves, which can follow a very interesting ‘historical route’ – from our contemporary history, through the Bulgarian National Revival, the Middle Ages, and up to 2000 B.C. Bansko also offers attractions for those tempted by old folk crafts, for those interested in the history of Christianity in our country, a history which is preserved in temples of unique character. Those curious about unique customs and rites, about the traditional way of life preserved from the past, also have something to see. Attractions connected to important figures can be found in Bansko as well. 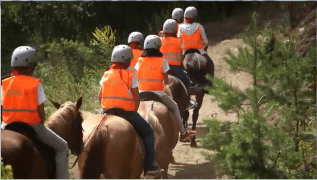 When we speak of attractions in the area of Bansko, we must start with nature – it is the first thing that attracts people, lifting spirits up from the moment you come close to the town. Bansko is located at the foot of North Pirin Mountain whose Alpine characteristics are distinctly seen and which offers a succession of marvellous views. Here, from the numerous peaks, tourists can enjoy inspiring panoramic views which can fill them with positivity, help them find relaxation for months to come and which will stay in their memories for the rest of their lives. No less beautiful are the views from the mountain hollows to the marble and granite high mountains forming strange and unexpected shapes. For ‘super adrenaline’ lovers, there are the dizzy abysses, or the Koncheto Ridge, for example, where you can find yourself walking along an edge not wider than 50 centimetres at some places. In the area of Bansko, there are attractions for the amateur tourists, for experienced mountain-climbers, as well as for those who are alpinists in their hearts. The Pirin Park is also located here. It consists of three reserves – “Tisata“, „Bayuvi Dupki – Dzhindzhiritsa“ and “Yulen“. They are under European and international ecological protection due to their unique natural characteristics and the international importance they have for the preservation of many plants and animals, especially endangered birds. More than 50 peaks fall within the territory of the Park – marble and granite ones, higher than 2500 m. The highest peak of the mountain – Vihren – is also here. With its impressive 2914 metres, it is the second highest peak in our country, only 11.4 metres lower than the highest one – Musala, which is located in Rila Mountain. Vihren Peak is the third highest on the Balkans, ‘falling behind’ by only 4 metres compared to Mytikas Peak in Greece. A lot of lakes – about 170 – can also be found in the Park. 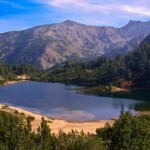 The most famous groups of lakes in Pirin are Banderishkite, Vasilashkite, Prevalskite, Popovite, Valyavishkite. Considering the natural attractions in the area of Bansko, we cannot miss the Baykusheva Mura which is 1.300 years old, 26 metres high and has a diameter of 7.8 metres. Other attractions around Bansko are the beautiful waterfalls – ‘Demyanishki Skok’, ‘St Nicola’, ‘Yulenski Skok’,; the terrain around them is a rather difficult one to walk through, though. There are real historical treasures in the area of Bansko, which can get tourists to almost 4000 years back in time. A very interesting attraction is the Nameless City . This location is actually among the unique landmarks in the area of Bansko which are of international historical importance. It turns out that here, at one single place, 4 kilometres away from Bansko, the history of the Thracians, of the Late Antiquity and the Middle Ages find their meeting place. The Nameless Town – Fortress was found out by incident in 2003 during a clean-up of the terrain for the restoration of the ‘Saint Nicola’ Chapel. This chapel can be found at the top of the hill which proved to be very beneficial to archaeologists and historians. The town is called ‘Nameless’ because there was no information about it – neither in a written form, nor in the form of any legends or songs. According to experts, about 2000 B.C., the settlement used to be well-provided for and wealthy. There used to be, for example, ‘a fortress within the fortress’ – a well-fortified inner part besides the outer defence on the town borders. Expensive ornaments and a sanctuary of a Thracian priest are found out there. The ancient graves with skeletons of people almost 2-metres high (a lot higher than what was considered normal at the time), indicate to Vladimir Baryakov, leader of the excavation works, that they belonged to the Dacians – a warlike Thracian tribe described by Homer. Before they reached the depth of the ‘Nameless Town’, archaeologists revealed the foundations of an early Christian church dated back to the end of IV century. The findings revealed that the church had been widened during the Middle Ages. The ‘Saint Nicola’ Chapel can now be found in its place. Among the landmarks of international importance in the area of Bansko is the church in the centre of Dobarsko. Due to its high artistic and historical importance, the church falls under the protection of UNESCO as a world heritage. The murals and icons are unique – more than 460 images have been preserved in perfect condition since the year 1614, without any restoration. And there is something more. It is usually the norm to have 4-5 saints in a temple; here, there are 30 saints. This is something that cannot be found anywhere else. 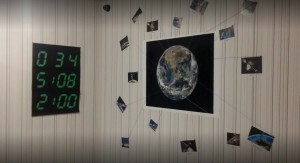 And Jesus is portrayed as an astronaut in a shuttle here. 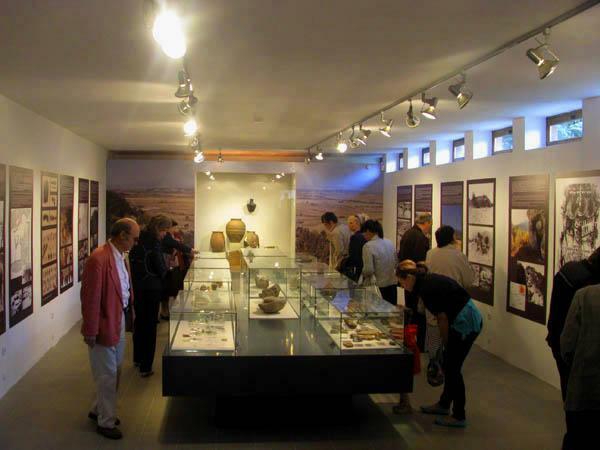 In Bansko, there are also attractions for those who love visiting museums. In fact, Bansko is a town-museum. Here, you can find ethnography, architecture, history, and art from the past. Attractions which are connected to important figures can be found in Bansko, as well. From a historical point of view, we should probably start with Paisius. His memorial in Bansko is a new, contemporary building which is located on the place of his native house. The Museum was opened in 2008. In a unique way, it represents the exact environment in which the ‘Slavonic-Bulgarian History’ (‘Istoriya Slavyanobalgarska’) was created. With his ‘History’, Paisius became the founder of and an inspiration figure for the Bulgarian National Revival. He is canonized as a saint by the Church. 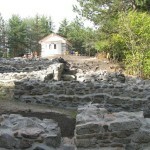 Bansko, there is an exact replica of his monastic cell in Hilandar. There is also a full replica of the chapel where Paisius prayed – ‘St. Ivan Rilski’. There is also an exhibition for both of his brothers – Laurentius, the abbot of the Hilandar Monastery at the time when Paisius was writing his ‘History’, and the large contributor Hadji Valcho. 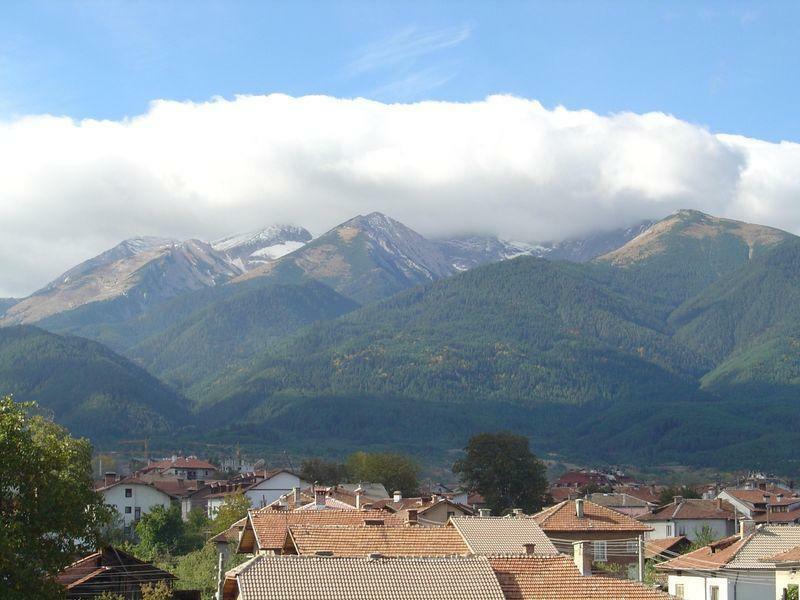 Attractions can be found in Bansko which are connected to other important figures – museums of Neofit Rilski and Nikola Vaptsarov. There are attractions in Bansko that provide detailed account of the National Revival – how Bulgarian people accumulating wealth at the time, were building their homes in a turbulent period. An emblematic example is the Velyanova House with walls as a fortress, small fortified windows, a hiding-place with several exits, working premises on the first floor, living premises on the second floor, with one common room, a women’s room, guest corners, etc. The house has unique wood-carvings and ornaments. Attractions can be found in Bansko that are related to ethnography. Radonova House shows art objects from the every-day life encompassing the whole history of Bansko. Many people visit Christian churches as attractions in Bansko – the “Holy Trinity” built in 1835 used to be the largest on the Balkans before ‘Alexander Nevski’ was built in Sofia. Of course, after a nice tour among attractions of any kind, the visitors of the town search for relaxing entertainment activities with which to complete their tourist programme. One of the newest and most interesting ways of entertainment in Bansko, either with friends or colleagues, may be, for example, a visit of an Escape Room. If you look for a professionally made Escape Puzzle Room, with authentic and attractive scenes, we recommend that you go to the Escape Rooms at Lucky Bansko SPA & Relax. In addition to the five-star luxury of the hotel, there you will also get a warm attitude on the part of the attentive staff, and you can choose between two types of rooms – Escape Room Egypt and Escape Room Hacker.